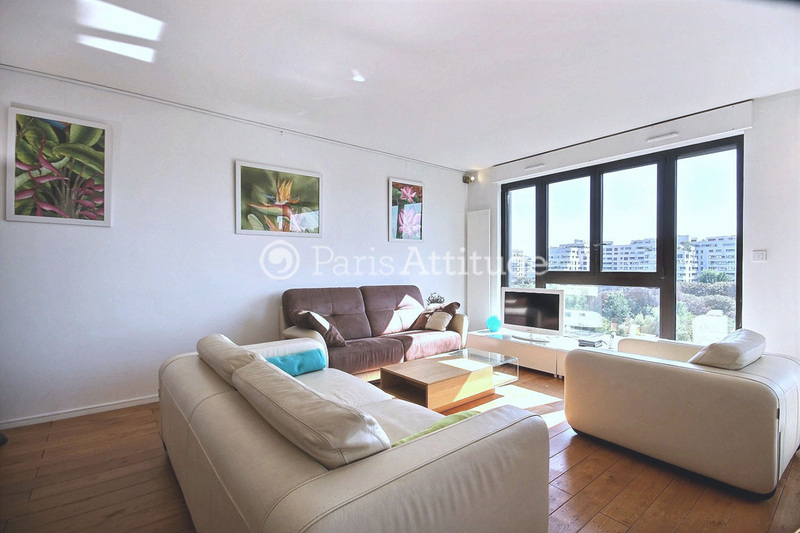 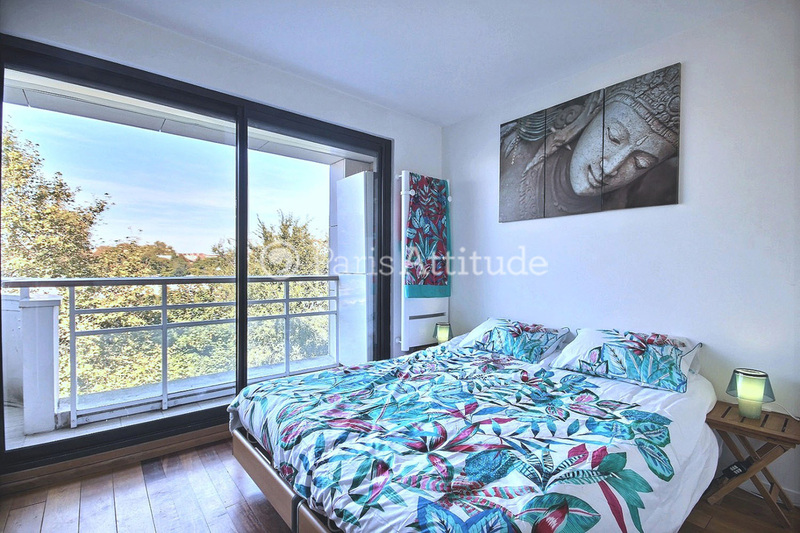 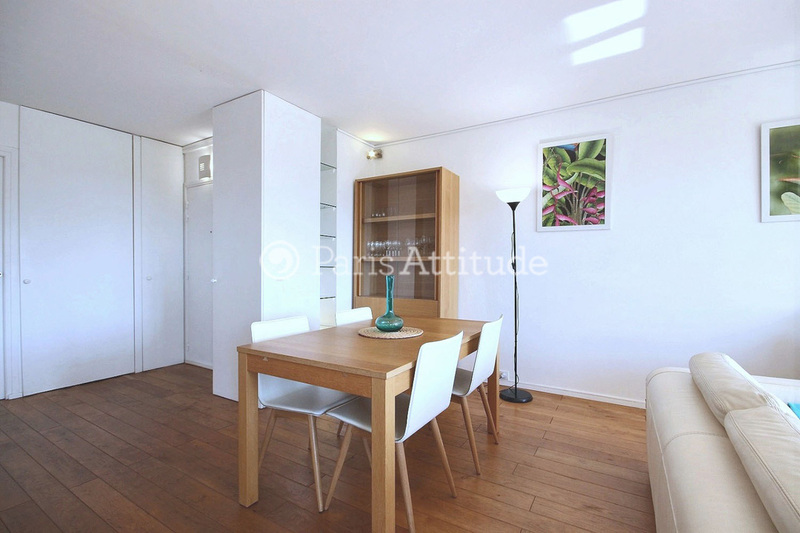 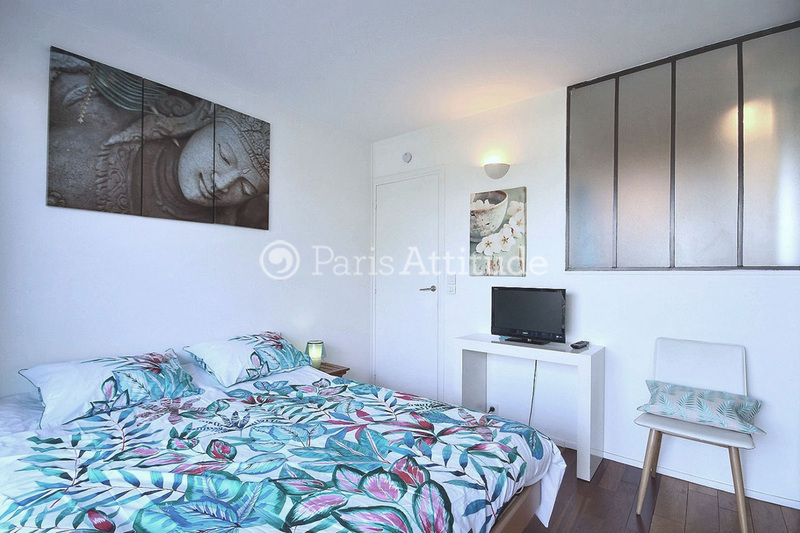 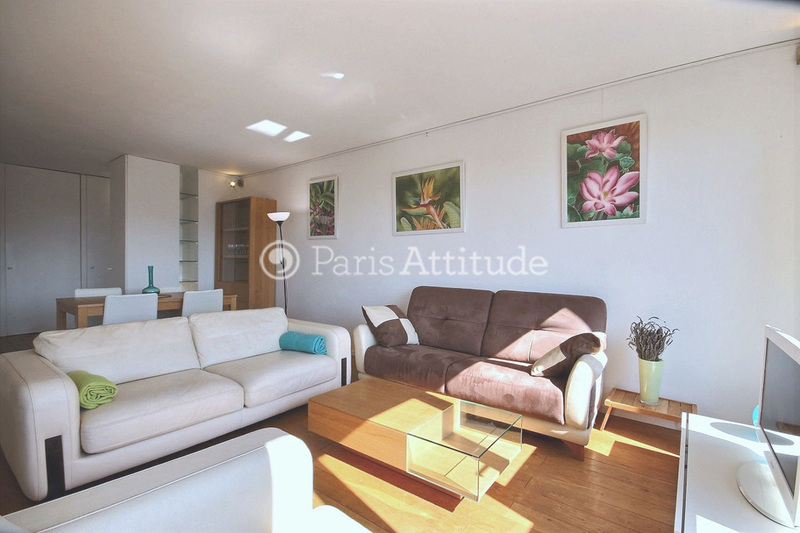 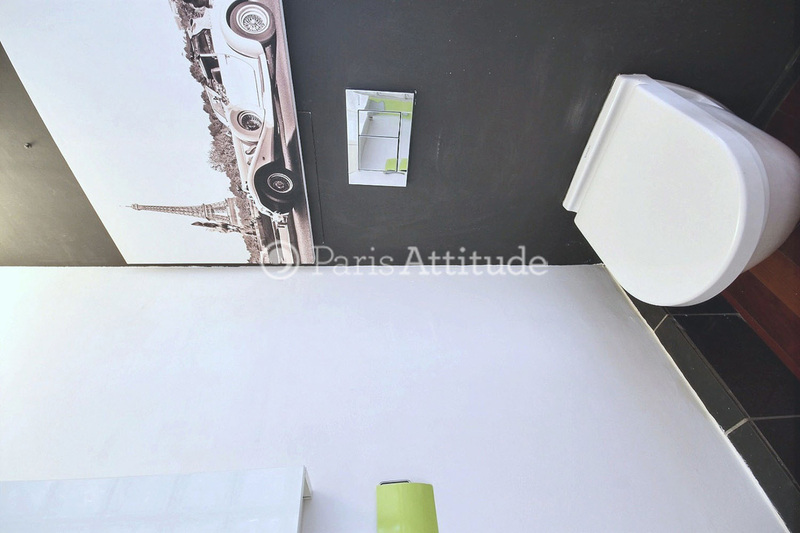 This luminous 70 square meters , 2 Bedroom, apartment is located on Allée Claude Monet in Levallois Perret, on the 6 th French floor of a 20th century building and it sleeps 4 people. 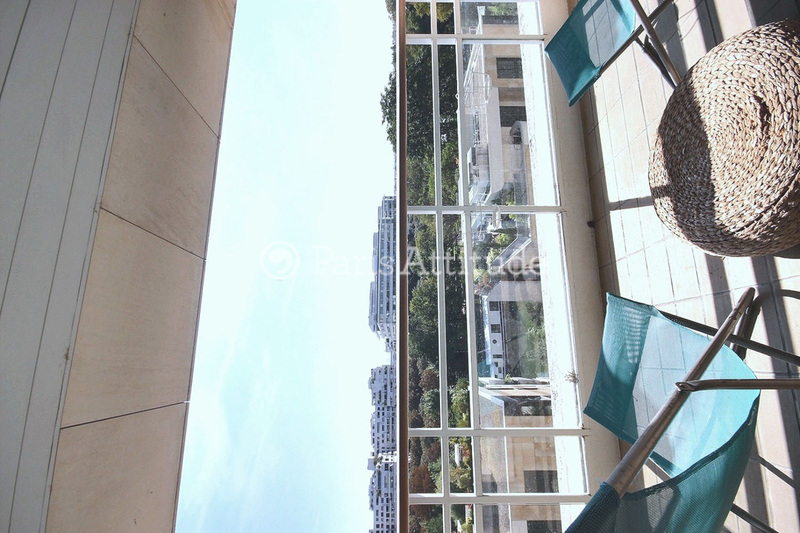 This apartment is equipped with : washer-dryer, dishwasher, cable, TV, unlimited high speed internet access with the wifi, terrace, balcony. 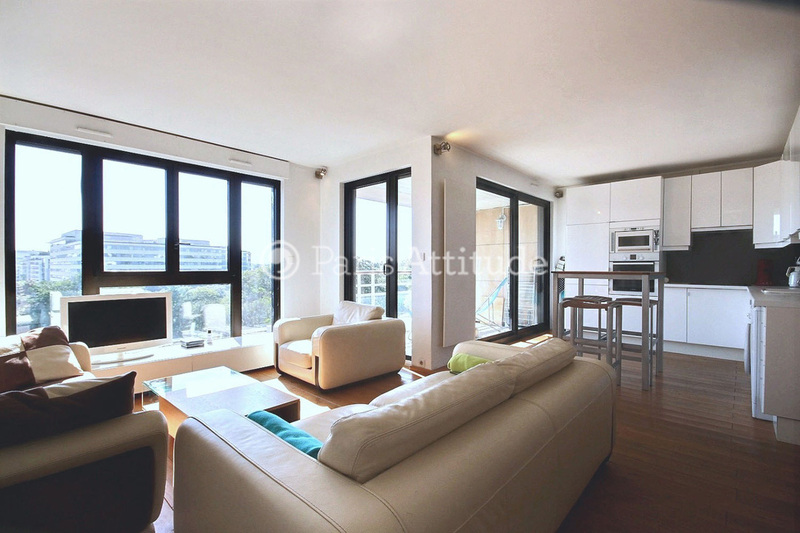 The 36 square meters living room has a window facing street and one leading to the terrace . 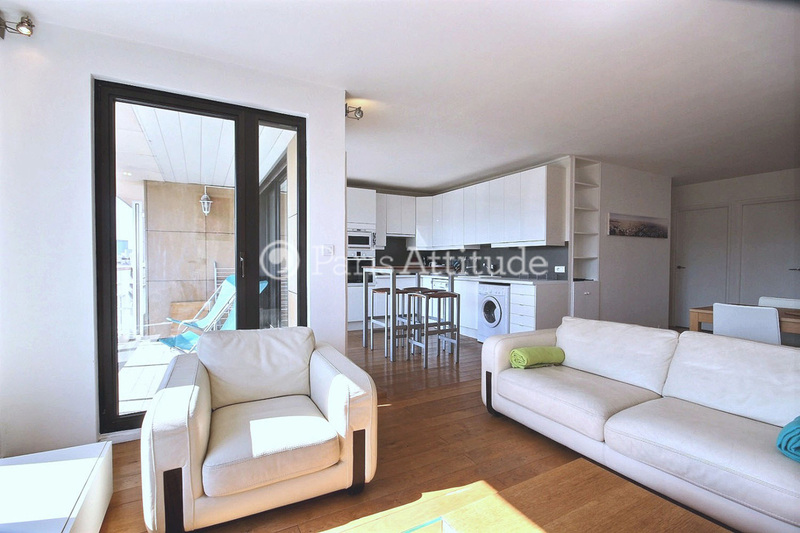 It is equipped with : fonding dining table for 8 people, double sofa bed, coffee table, TV, armchair, walk in closet, hard wood floor. 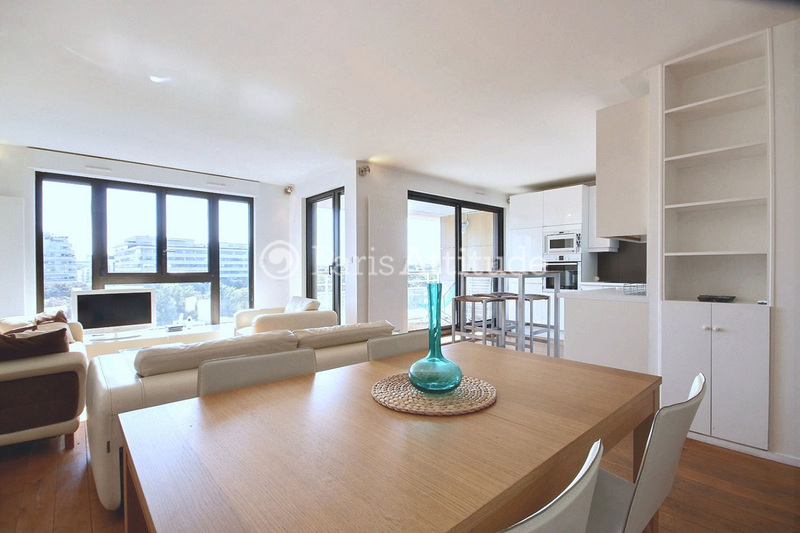 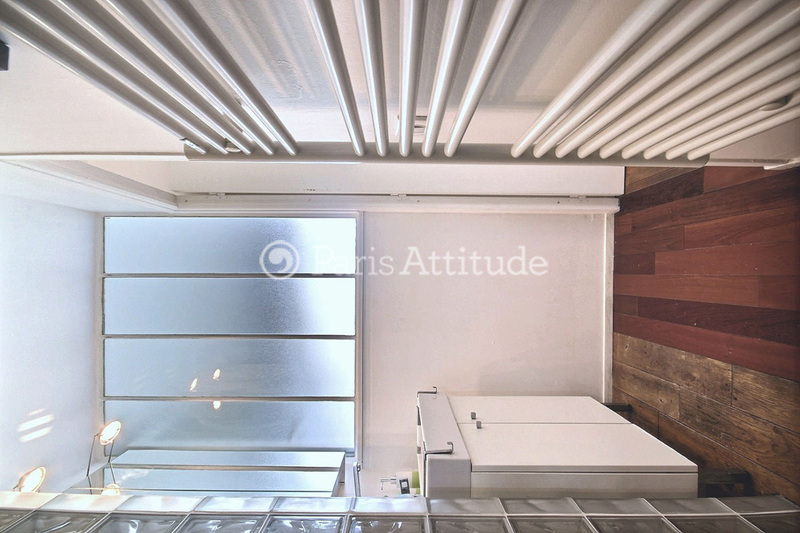 The 8 square meters open eat in kitchen has a window facing street and leading to the terrace . 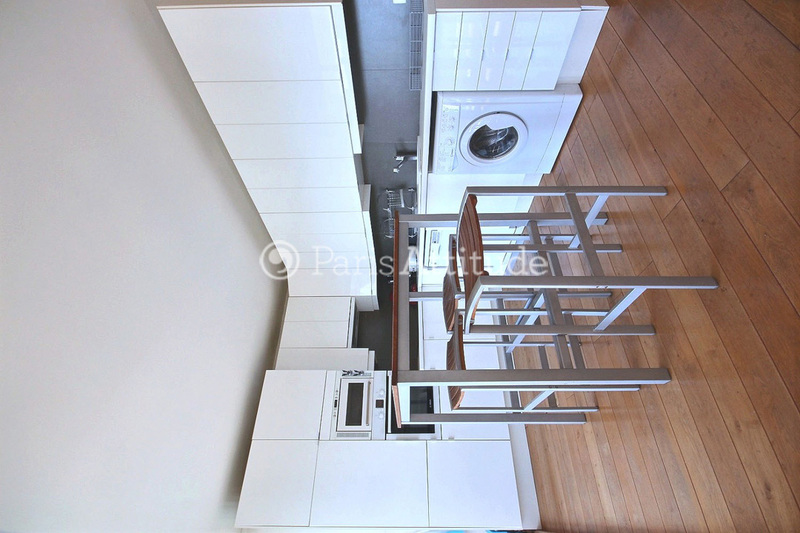 It is equipped with : a bar with 3 bar stools, fridge, freezer, dishwasher, ceramic hob, extractor hood, oven, microwave, washer-dryer, coffee maker, and all kitchen utensils, built-in wall closet, hard wood floor. 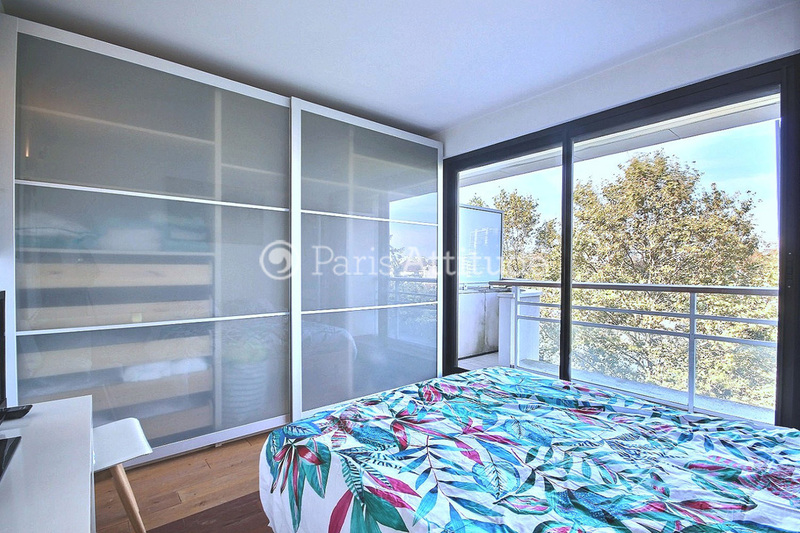 The 11 square meters bedroom has a double glazed window facing the Seine river and leading to the balcony . 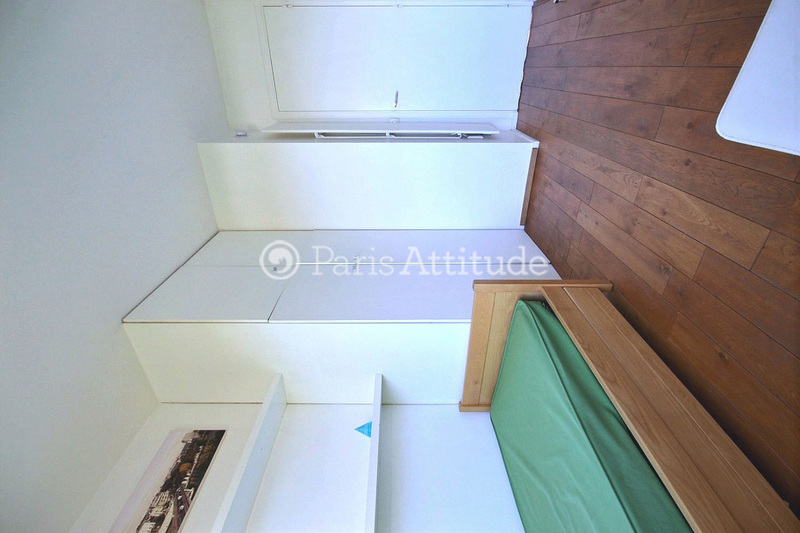 It is equipped with: queen size bed (1.80m), TV, built-in wall closet, hard wood floor. 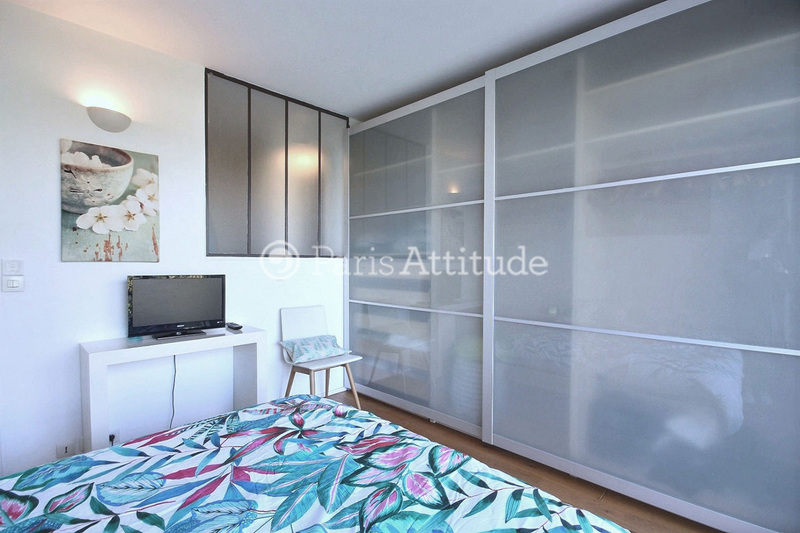 The 8 square meters bedroom has a double glazed window facing the Seine river. 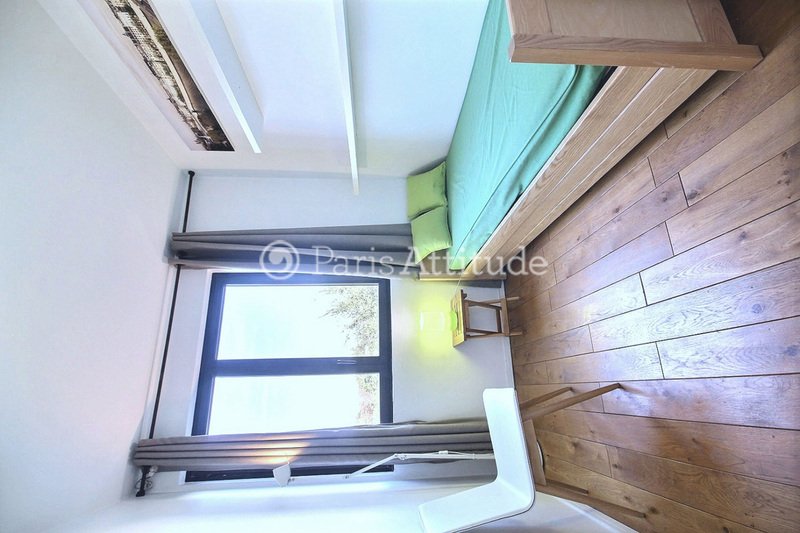 It is equipped with : trundle bed, built-in wall closet, hard wood floor. 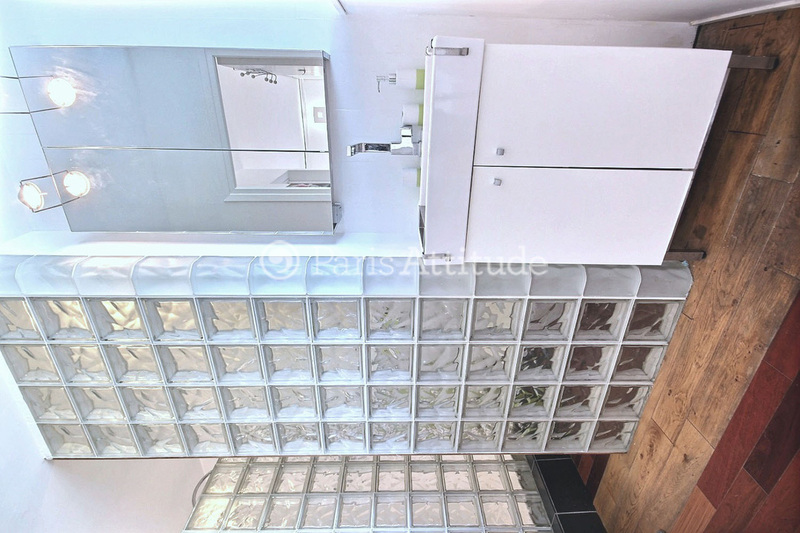 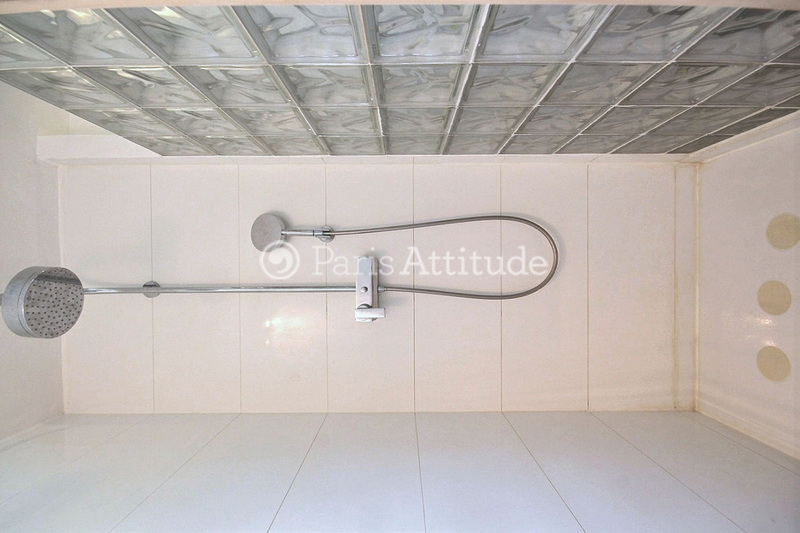 The 6 square meters bathroom is equipped with : washbasin, shower, toilet, hard wood floor, 1 separated toilet in the apartment. 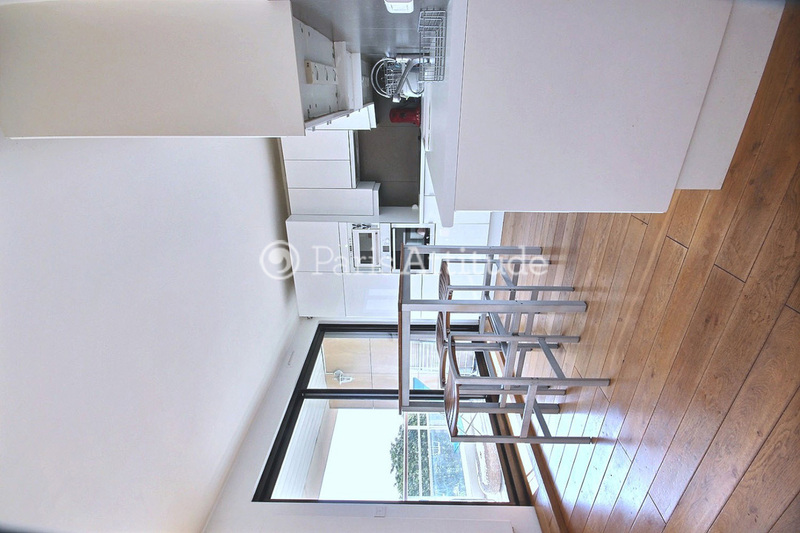 The apartment has a terrace facing street and is contiguous to the living room and the kitchen. 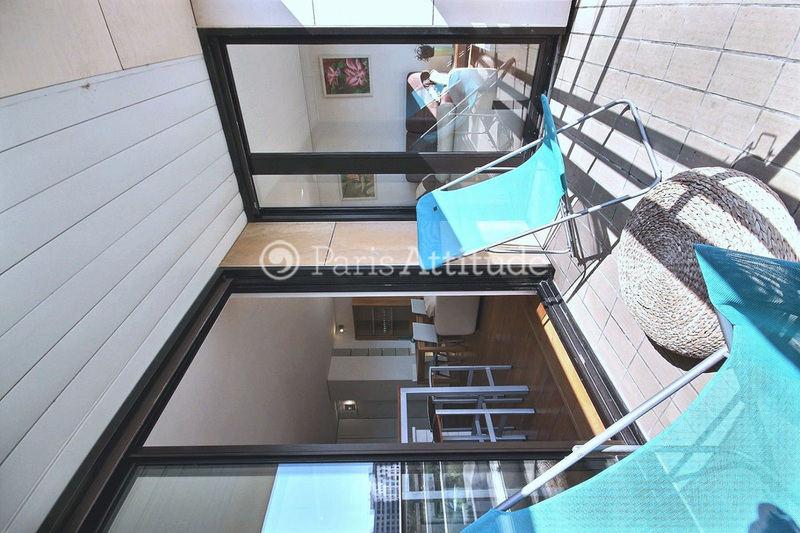 The apartment has a balcony facing the Seine river and contiguous to bedroom 1.